Recent research has shown that women who drink moderate amounts of coffee containing caffeine (2-4 cups of coffee a day), are less likely to get depressed. Caffeine is widely used throughout the world as a stimulant for the central nervous system. More than 80% of people get their daily caffeine fix drinking coffee. Various claims have been made about the health risks for coffee consumption. Others suggest that drinking coffee is healthy. However, few previous studies have been done on the relationship between coffee, and/or caffeine consumption, and the risks of depression. One recent study has highlighted potential benefits of coffee for reducing depression in women. The effect appears to be related to the way that caffeine affects the brain, as decaffeinated coffee did not have the same effect. The study of more than 50,000 US female nurses from 1996 to 2006 used questionnaires to assess their coffee consumption was conducted by a Harvard Medical School team. The study examined the incidence of depression and the relative proportion of those afflicted that drank coffee. Clinical depression was defined as subjects who reported that they had been diagnosed with depression by a physician and antidepressant use. 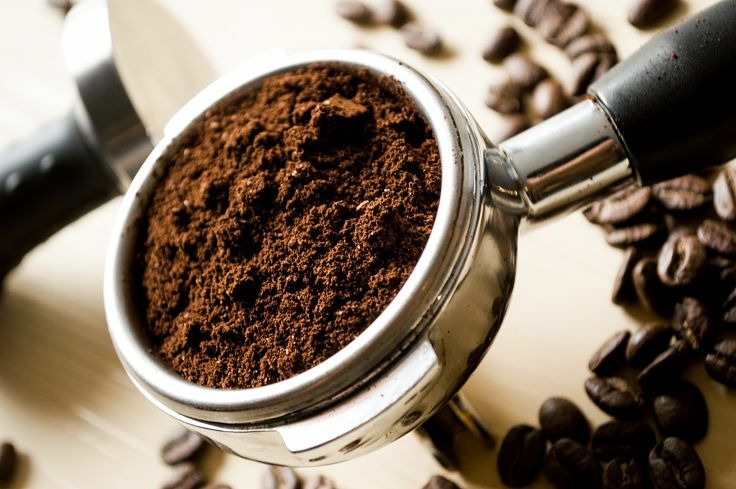 This article examines the other health benefits of coffee and caffeine. During the 10 year period for the study a total of about 2600 cases of clinical depression were identified in the study group. Women who consumed 2-3 cups per day had a 15% lower risk of developing depression compared with women who only drank one cup or less of caffeinated coffee per week. Those who drank 4 cups or more a day lowered their risk by about 20%. 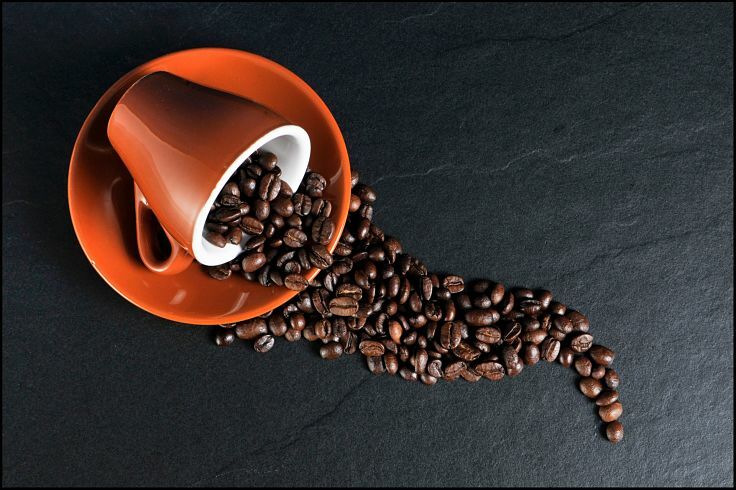 Decaffeinated coffee showed no association with depression risk. 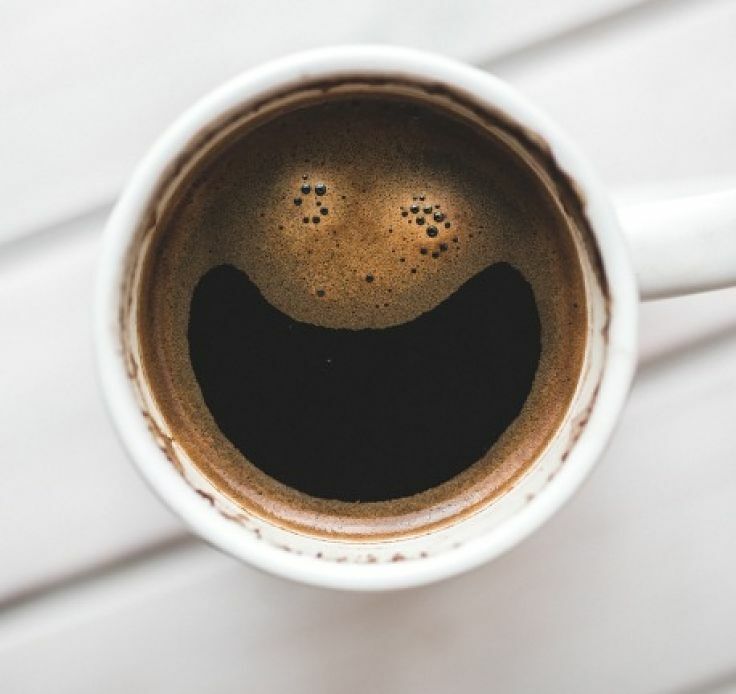 While the results only show an association, that needs to be confirmed, and cause and effect has not been established, the study does suggest that coffee consumption could help prevent depression. The study also found that regular coffee consumers were more likely to smoke and drink alcohol and were also less likely to be overweight, have diabetes or have high blood pressure. But even after considering all of these variables, the trend for increasing coffee consumption to reduce the risks of depression in the study group remained. However there are other links that may explain the results - perhaps people with poor moods choose not to drink coffee because they know that the caffeine keeps you awake at night. People who are worried or depressed often have trouble sleeping. This study supports previous research that shows caffeine affects the brain and moods. Previous research found lower suicide rates among coffee drinkers. Caffeine is known to enhance feelings of well-being and energy. But high levels of caffeine are also likely to cause anxiety. Two to three cups of coffee a day is equivalent to about 300mg of caffeine. But everyone showed be aware that there are high levels of caffeine in sports drinks ( see; artcile). Caffeine is known to have a physical effect on nerve transmission and brain function by blocking particular chemical receptors, like adenosine. But more research is needed to show if this response helps ward off depression. Caffeine magnifies the natural stress response. 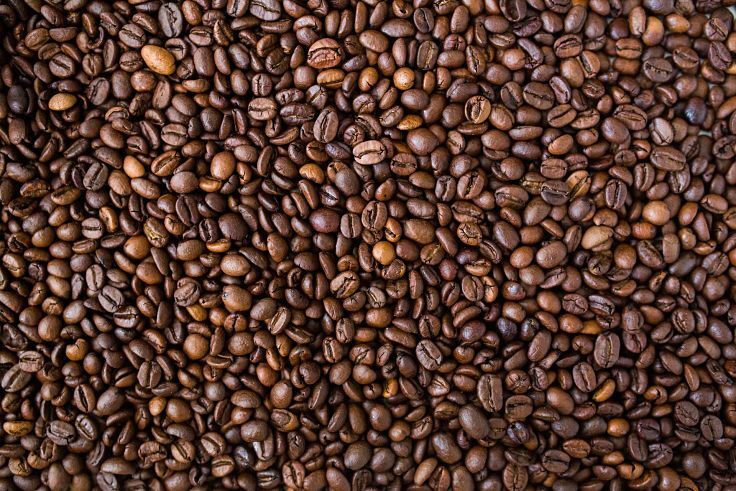 In cells, caffeine blocks the receptor for adenosine, a brain function modulator that prevents over-stimulation of nerve cells. If adenosine is blocked, there is nothing controlling the nervous system from getting too excited. This lead to the known stimulant effect of caffeine. Is Caffeine Addictive? There has been a lot of debate about this and it can be mildly addictive for some people who develop a mild dependence on it and suffer real caffeine withdrawal problems. But the effects are relatively mild compared with hard drugs. Caffeine is a mild stimulant helping people wake up and get ready for the day. It will also restore your alertness and will help you to stay awake as well. 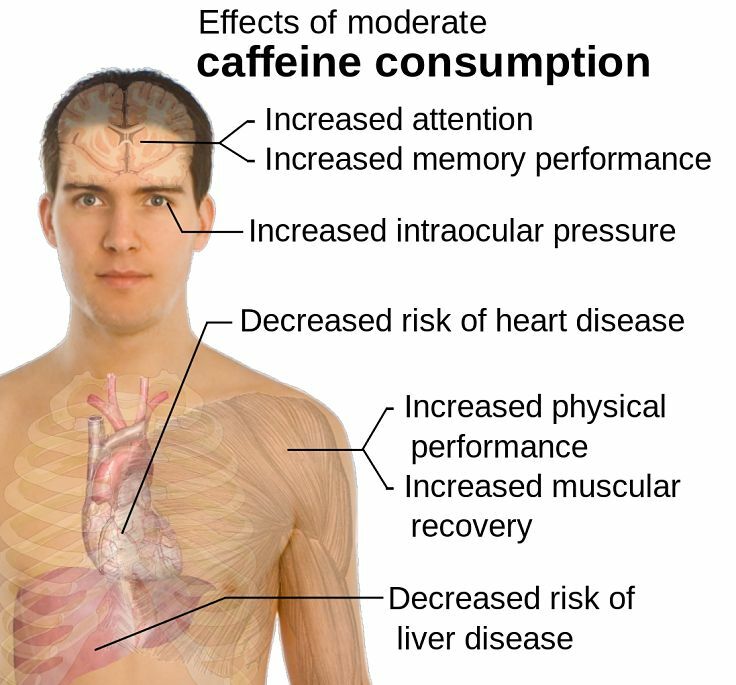 Caffeine is also used with medications to make them more effective. Caffeine can improve your memory and mental functioning. It can reduce fatigue and give you a pick-me-up, and it is widely used by many elite athletes for its mild stimulant effect. It will boost your flagging alertness, focus and attentiveness, and it will help you to stay awake. It is also used in many medicine? It has been shown to improve your short-term memory and speed up your reaction times. There is no evidence that moderate coffee consumption (300 mg per day 2-4 cups of coffee) poses any major health risks and may be beneficial in some respects. Coffee consumption may help prevent and control a number chronic diseases, including Parkinson's disease, type one, two, etc." >2 diabetes and liver disease. Most studies have shown that moderate coffee consumption does not increase the risk of cardiovascular disease. But, coffee consumption does increase several cardiovascular disease risk factors, such as blood pressure. There is little evidence that moderate coffee and caffeine consumption increases the risk of cancer. There is little evidence of health risks associated with drinking moderate amounts of coffee and some evidence of health benefits. Does Caffeine Boost Blood Pressure? High doses of caffeine can be harmful if taken over a continuous period of time leading to permanent mental and physical impairments. This includes medical conditions known as caffeine induced anxiety disorder, caffeine intoxication, sleep disorders and others. I should be stressed that these medical problems only occur with very high rates of ingestion. 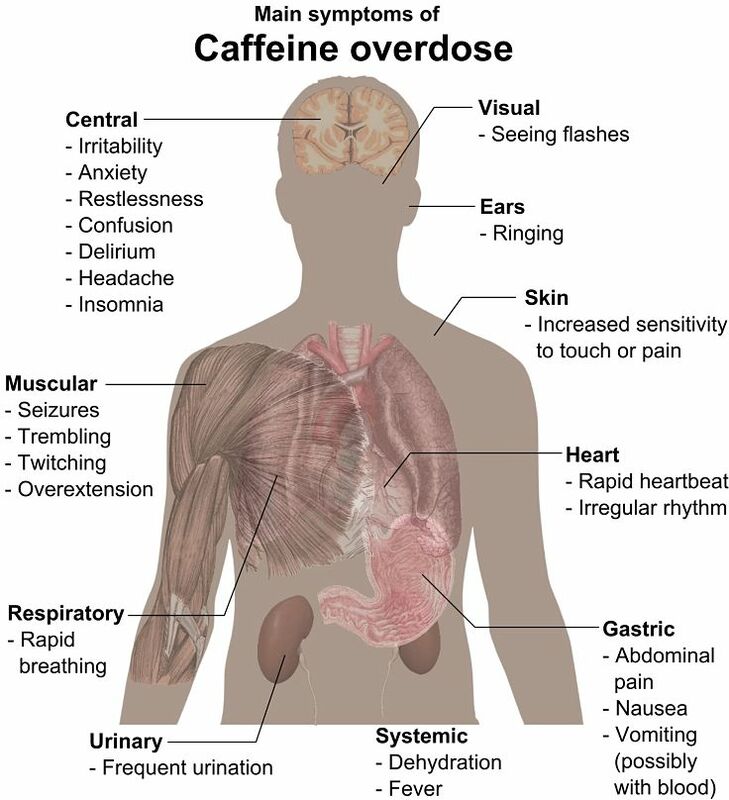 Symptoms of caffeine intoxication include rambling, insomnia, diuresis, increased blood pressure, cardiac arrhythmia, rapid heart beat, muscle twitching and mental delusions. Is Caffeine Is Likely to Cause Insomnia? Your body rapidly absorbs caffeine, but it is also eliminated just as quickly. Caffeine is broken down in the liver and has a relatively short half-life of 5-7 hours. After about 8-10 hours, about three-quarters of the caffeine has been eliminated. For most people, 1-2 cups of coffee in the morning won't stop you sleeping the following night. Drinking coffee later in the day can interfere with your sleep and the trick is not to drink coffee at least six hours before going to bed. The sensitivity of various people varies and you should also remember that cola drinks and many other beverages contain caffeine and the effects accumulate. The cause of your insomnia may not be coffee! Caffeine does act as a mild diuretic that does not cause dehydration. Research suggests that this is a myth and that college kids who drink both alcohol and caffeine are probably more likely to have car accidents. Many claims have been made about whether coffee and caffeine are healthy or not. Learn the truth here. 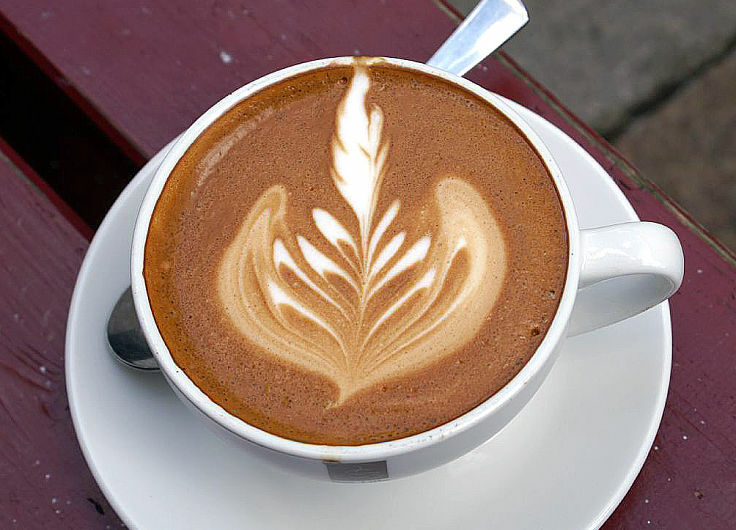 Coffee, consumed in moderation amounts has been shown to reduce the risk of depression. It also has benefits for athletes and is not a prohibited substance. Enjoy your coffee.